Michael Hickey is a local photographer and club member. 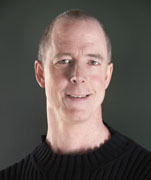 He has provided critiques and programs to photography clubs in the area. His program called “What Inspires Me” will include images from Michael's recent trip to Yosemite National Park as well as other locations.